Please use the public onsen called Kogane hot spring. It is available for use by men and women alernatively. 12:00pm-1:00am for men; 1:00am-9:30am for women. ※The male and female bath shifts at 1am. 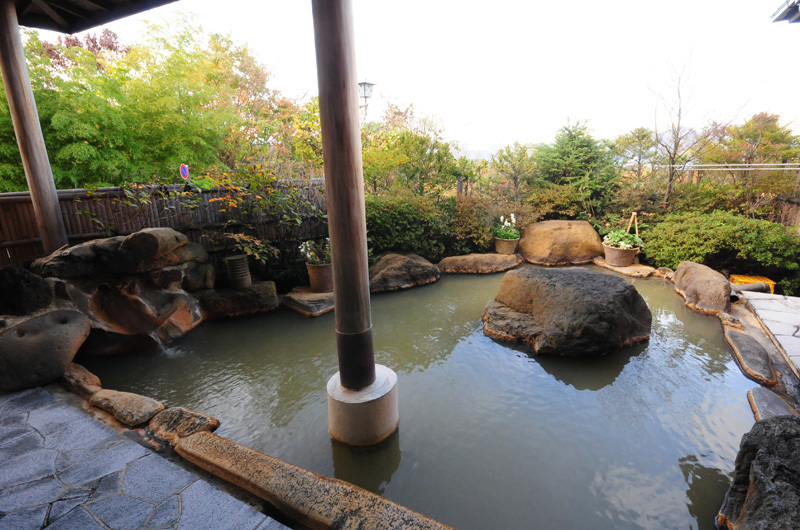 This public onsen is the symbol of the hotel. 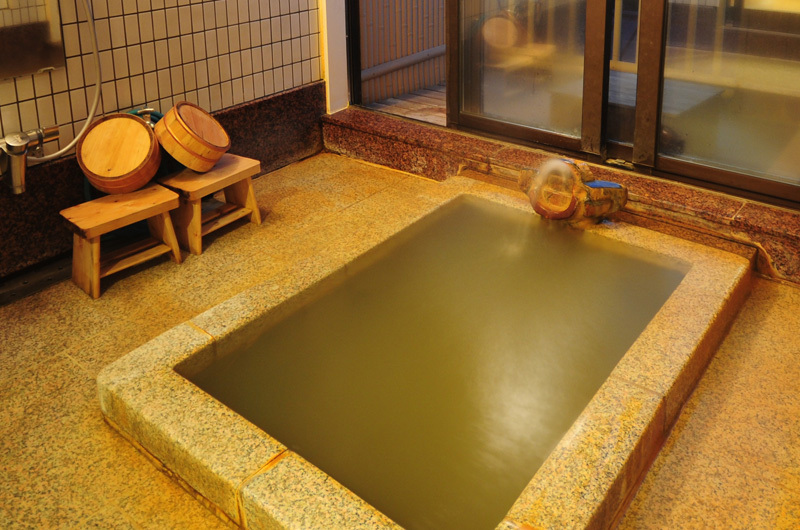 Filled with fresh Kogane hot spring water, this onsen may look like an ordinary bathtub, but it is actually as deep as 1m. Doesn't it feel like an "onsen pool"? 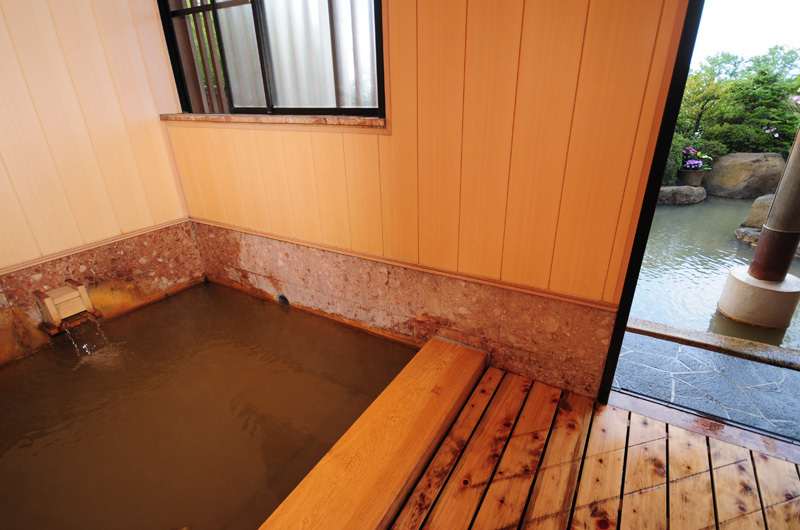 The "Taki-yu" public onsen by gender has a retro vibe. 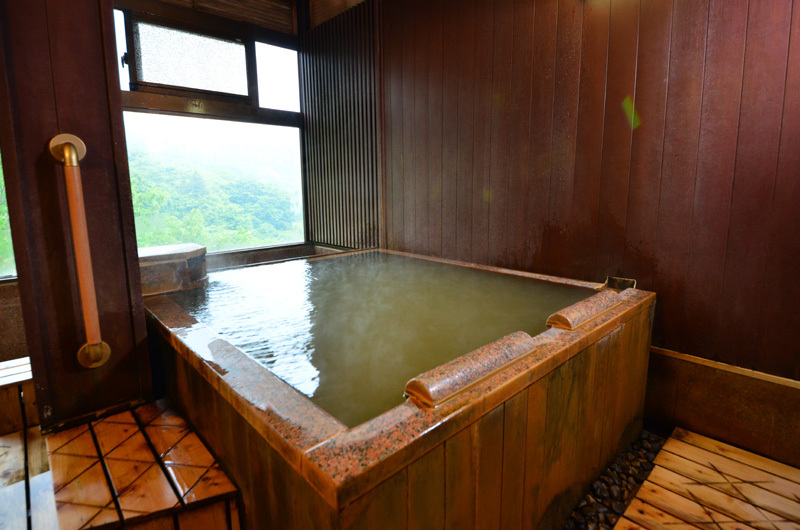 Just as the name implies, the hot spring water falls into the bath like a waterfall. The public open-air onsen for men of course has 100% free flowing "Kogane hot spring water" as well. From there you can see the mountains of Joshu. The public open-air onsen for women of course has 100% free flowing "Kogane hot spring water" as well. From there you can see the mountains of Joshu. 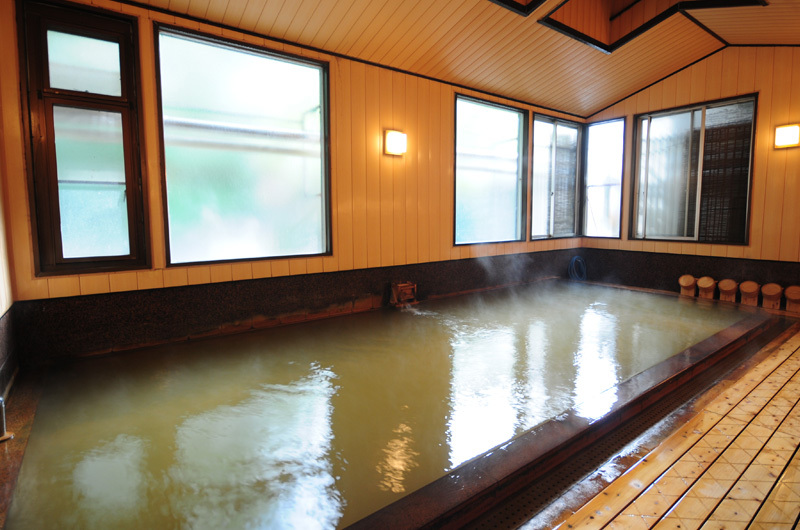 Both "Tonogata" open-air onsen and "Gofujin" open-air onsen are equipped with an indoor bath. If you don't like staying outdoors for a long time, you may take a hot bath and relax indoors without getting cold. There is also a sauna for warming up your body. 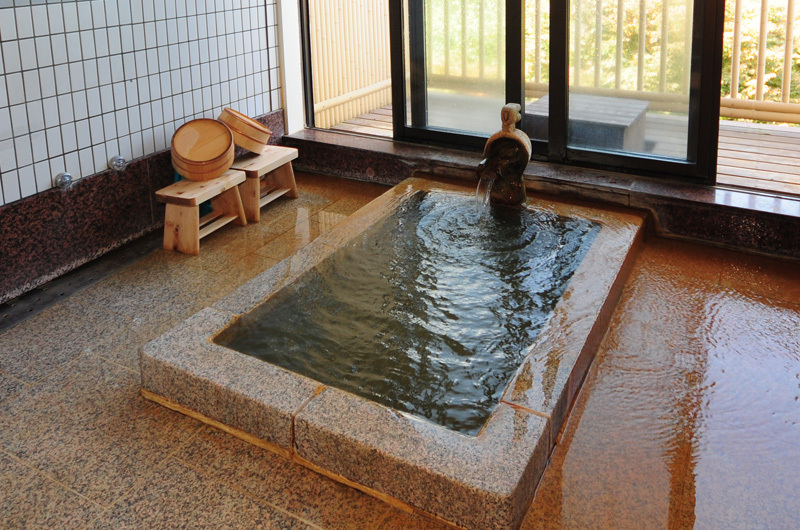 There are 4 reserved onsen available for free all day long. These onsen, named "MEGUMI", "KOKORO", "IKOI" and "IZUMI", are very popular as they are available anytime as long as no one is using. 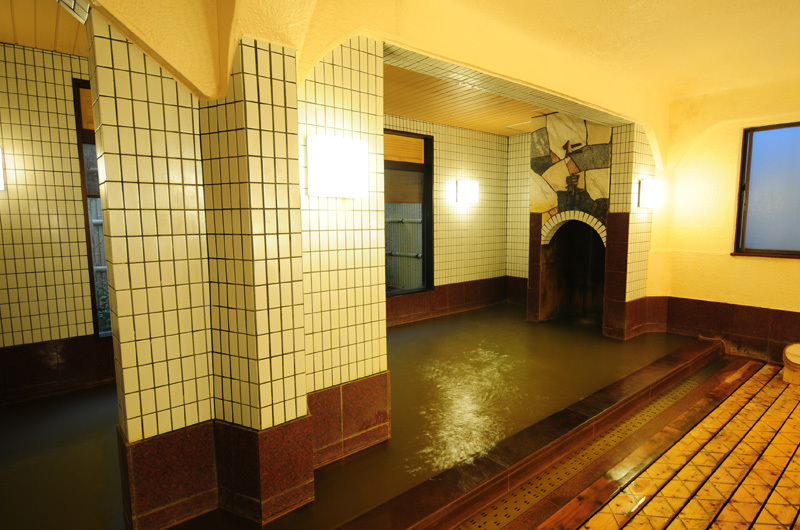 Come and experience the brownish Kogane hot spring water for yourself. No reservation is needed. Please go directly to the bath and use the vacant spaces. The lock is set at the inner side. 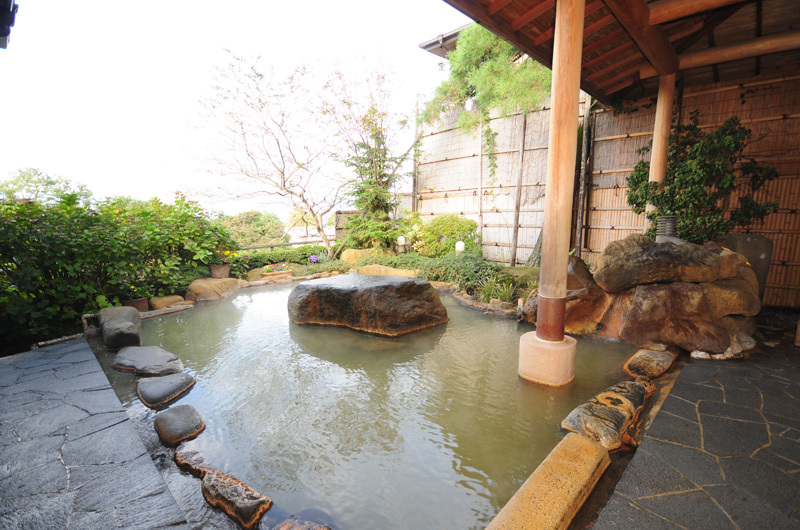 These onsen, named "MEGUMI" are very popular as they are available anytime as long as no one is using. 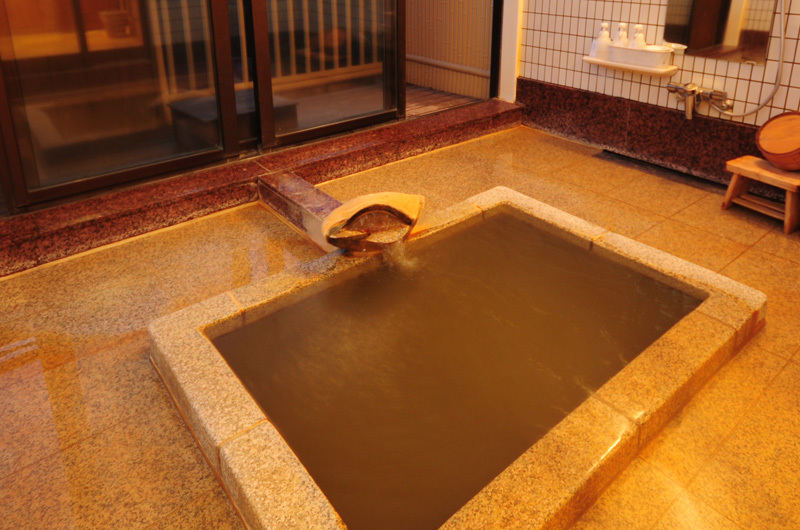 his is the biggest bath among the 4 reserved onsen. 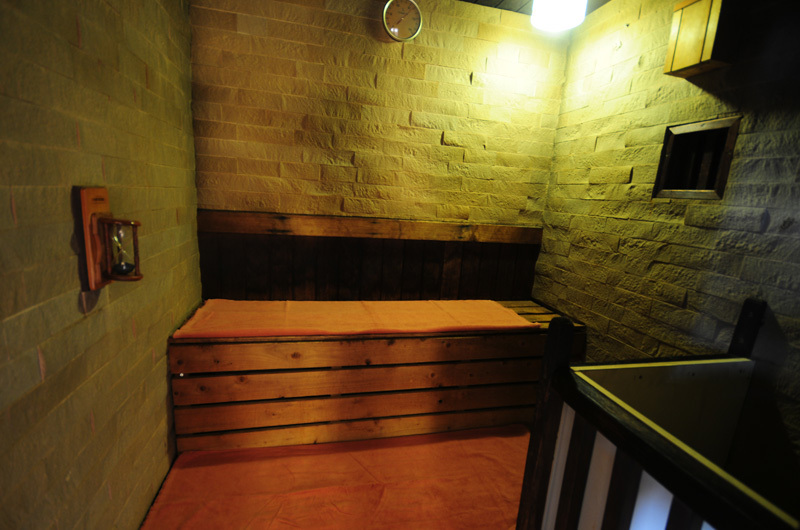 Even though it is an indoor bath, open the large door and you can still feel the refreshing breeze of Ikaho. It is the same type of bathtub as "MEGUMI".